N.E. corner of 6th Ave. & Irvington Road. 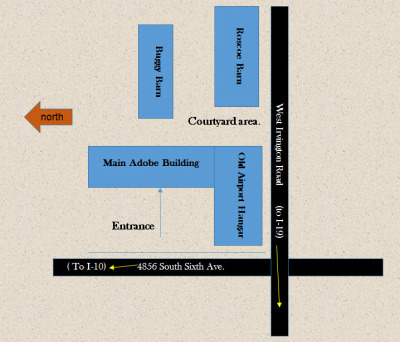 Hours: 9:30 am – 3:30pm, Mon. thru Sat. Military (and family) with ID, 50% discount. and are available for your purchase. Feb. 16 thru Feb. 20, 2019 – 10:00 A.M. – 1:00 P.M.
Feb. 22 thru Feb. 24, 2019 – 10:00 A.M. – 1:00 P.M. Contact us if you would like to arrange a time for your Museum Tour –Year ’round. Four main display areas hold our vehicles, often with other associated displays. Parking and access is ADA compliant as are restrooms. There is no heat or air-conditioning in buildings. Rest areas with seating located throughout Museum buildings. Drinking fountains are located in hanger. All buildings are monitored with motion cameras. Photography of Museum displays and/or equipment is permitted. No climbing onto or moving vehicles permitted! 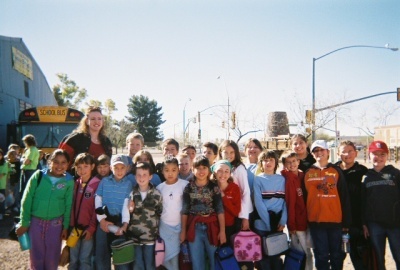 Back packs and large purses must be checked. No running permitted in buildings! least 1.5 hours if this is your choice. 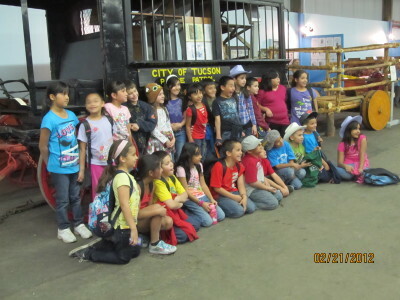 The Tucson Rodeo Parade Museum is a marvelous classroom for teaching students about our rich cultural heritage. The museum features displays of scenes of the old west, including blacksmithing, saddles and cowboy life on the range. 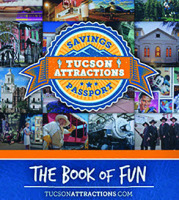 Many historic wagons and carriages are displayed including buckboards, surreys, farm wagons, and Tucson’s first “paddy” wagon, as well as stagecoaches, a school bus and much more. Thanks to generous funding from the Warden Family, we are able to offer limited funding to assist your school with the cost of transportation. Our museum is open for tours in January through of April 7, 2017. We cannot offer this funding during the week of the Rodeo, February 18-27, 2017. To apply, please fill out the bus funding application here. We look forward to working with you and your students. 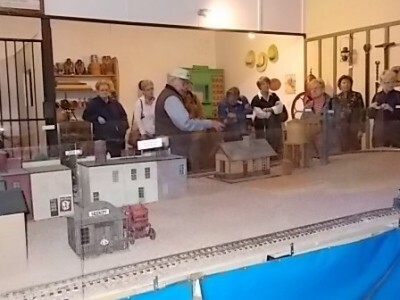 Each year we host groups from many of the areas retirement and/or social organizations.